On the hunt for something new? 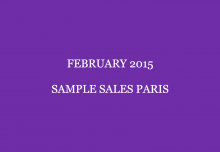 Make sure to jot down the dates of the February London sample sales! With La Perla, Temperley London and many more brands for sure you’ll find something to your liking. Make room for more shoes and bags! Jerome Dreyfuss is opening its doors for a 3 day sample sale where you will find women’s and men’s bags and shoes at up to 70% off. Stop what you are doing and save the date for the Temperley London sample sale! Find amazing items starting at just £50. 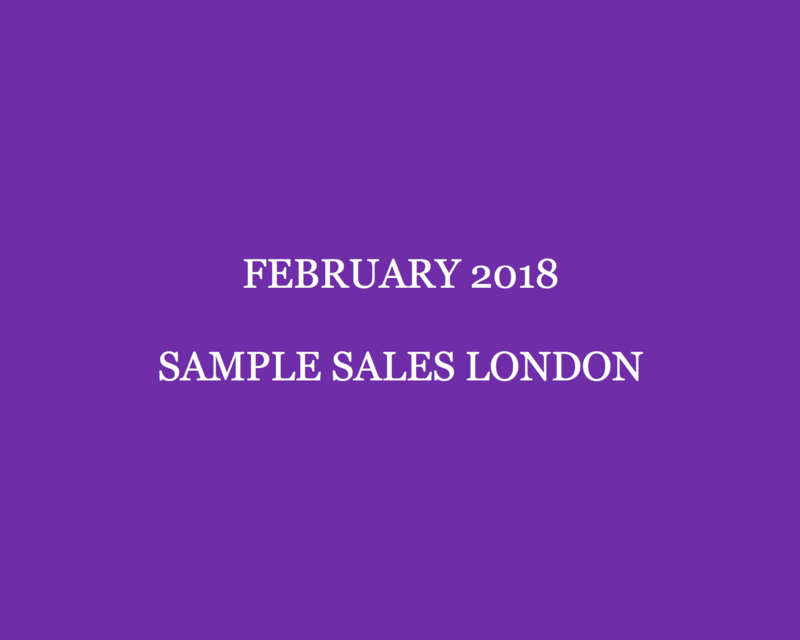 On 1-2 February 2018 (8am-8pm) at Temperley London Showrooms, 27 Bruton Street (2nd Floor) Mayfair, London, W1J 6QN. Entry: £2 for charity (Women for Women Foundation). Well hello ladies! This is your chance to stock up your lingerie drawer with La Perla items at steeply discounted prices. How? Simply head over to Pippa Store for the La Perla sample sale! On 3-12 February: Monday-Friday 11am-6pm, Saturday 10am-6pm and Sunday 12pm-5pm at Pippa Store, 52 Lonsdale Road, London, W11 2DE. Note: cash and paypal only. The KJ’s Laundry sample sale is back! On 1-3 (10am-7pm), 4 (11am-5pm) and 5 February 2018 (10am-7pm) at KJ’s Laundry, 74 Marylebone Lane, London, W1U 2PW. How does a Fjällräven sample sale with up to 50% off clothing and accessories? Find Greenland Winter and Raven Jackets, Bergtagen and Nuuk Parkas as well as a range of bags, t-shirts and more. Prices? Think of the Fjӓllrӓven Bergtagen Parka at 50% off, now for £260 (RRP: £525). The Raven Jacket at over 50% off, now for £100 (RRP: £215). Snap up the Greenland Winter Jacket W at £130 (RRP: £265) and the Nuuk Parka W at £200 (RRP: £420). Shirts start at £20 (tees at £10). On 3 (10am-7pm) and 4 February 2018 (10am-6pm) at The Brokedown Palace, Spitalfields Market, 45 Brushfield Street, London, E1 6AA. Need to update your wardrobe? 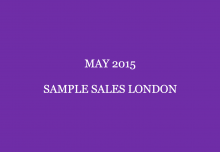 Why not go to the Nicole Farhi sample sale where you will also find items from James Lakeland, Artigiano and more. On 3 February 2018 (10am-6pm) at Chiswick Town Hall, Heathfield Terrace, Chiswick, London, W4 4JN. 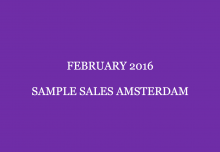 Get ready for a sample sales spree! 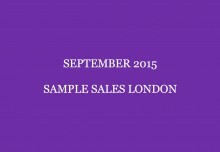 The Joseph sample sale is back! And it includes all the designers you like. Think of Balmain, Victoria Beckham, 3.1 Phillip Lim, Alexander Wang, Laurence Dacade, Giuseppe Zanotti, Mira Mikati, MSGM, No. 21 and more at up to 80% off! On 23 (10am-8pm), 24 (11am-6pm) and 25 February 2018 (11am-5pm) at The Box, 4-6 Ram Place, London, E9 6LT. Note: cash, credit and debit cards accepted (cheques and American Express not). Want to know what’s available? See take a peek inside the Joseph sample sale. Need new sneakers? Why not go to the Axel Arigato sample sale where you find men’s and women’s sneakers, bags and apparel up to 60% off. On 23 (11am-8pm), 24 (10am-7pm) and 25 February 2018 (10am-5pm) at The Yard, 89 1/2 Worship Street, London, EC2A 2BF. Paul Costelloe fans will love to hear that there’s a Paul Costelloe sample sale where you can find runway archives and past season collections at discounted prices. On 24, 25 and 28 February and 1-4 March 2018: Wednesday-Friday 11am-6pm, Saturday 10am-6pm and Sunday 12pm-5pm at Pippa Store, 52 Lonsdale Road, London, W11 2DE. Salt Resort Wear is having a sample sale where you can find brands such as Zimmerman, Marisa Swim and Mara Hoffman at up to 70% off.